The investigation by the Associated Press, working with researchers from Princeton, discovered some services will keep track of a user's location despite said user disabling features that are meant to stop the tracking from happening. A primary example is Google Maps, which will request for access to location data for core functionality, such as for navigation or real-time location sharing with contacts. Users are also asked to agree for the app to record their location over time, with the results able to be displayed in a "timeline" that shows the user's movements. Since this data can also be used in unintended ways, such as forming part of a search warrant for location data relating to a local crime, Google includes a setting called Location History, with the option to pause logging. According to Google's support page, Location History can be turned off at any time, and that places visited "are no longer stored" when it is disabled. According to the investigation, this is untrue, with some Google Apps continuing to store time-stamped location data with it turned off. 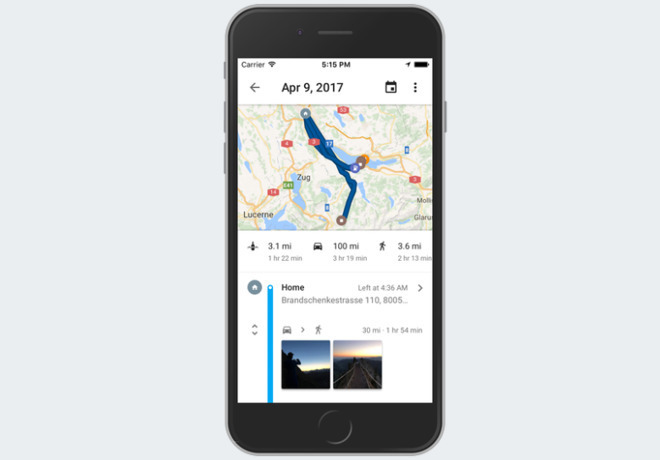 Google Maps captures the user's location as soon as they open the app, while apps and searches that even have nothing to do with geography can save the device's location to the user's Google account. This doesn't just apply to Android smartphones and tablets, as iPhones and iPads using the Google Maps app are susceptible to the same issue. Google claims it is being clear in communicating to its users how its data is being used, noting to location data along with web and app activity, can be used to enhance its other services. "We provide clear descriptions of these tools, and robust controls so people can turn them on or off, and delete their histories at any time," Google said. It was found that another setting other than Location History would need to be turned off to stop the recordings from happening. Leaving Web and App Activity enabled will still save data from apps to the user's Google account, and leaving it enabled while turning Location History off will only prevent additions to the Google Maps timeline, not stopping data collection altogether. Stored location markers are kept on the My Activity page in the Google account, though not organized under a single list. Deleting location markers is possible, but only on an individual basis or by wiping the entire data set, with no middle ground of selecting a group to remove. On turning off Location History on iOS devices, a pop-up notification warns "None of your Google apps will be able to store location data in Location History." It is noted by the report this is potentially misleading but "technically true," as Google Maps and others store geographical data in a section of the Google Account called "My Activity" rather than "Location History." In 2017, the Raleigh, N.C. Police attempted to find out who could have caused a fire at an under-construction building. Suspecting arson, the police submitted a warrant to Google asking for data on all Android devices that passed through a specific geo-fenced area in a two-hour window of time on a given day. The discovery of the warrant for data on a large number of individuals in this way prompted journalists to dig further into its use, and the revelation that the Raleigh Police Department had made similar warrant submissions for location data to Google 4 times since 2015.